Thomson- Mr. Jimmy Franklin Hammock, 85, widower of Mrs. Marion Adrienne Norris Hammock, was released from his pain on Monday, March 25, 2019 at his home. A graveside service will be held at 2 p.m. Saturday, March 30, 2019 in Westview Cemetery, with the Rev. Melissa Reynolds officiating and his best friend, Pastor Charles Land, offering his kind words. Mr. Hammock was born and lived his life in McDuffie County. He loved being at home. He retired as a yard foreman from Union Camp Corp. with over 30 years of service. He enlisted in the United States Navy, with the help of his mother because he was under age, during the Korean Conflict. He was awarded the National Defense Service Medal and a good conduct medal, and he served for more than three years. 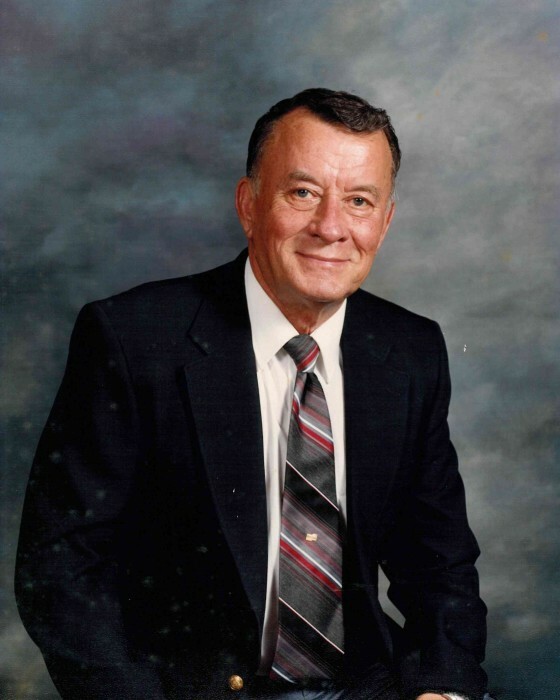 Mr. Hammock was a member of Young Memorial United Methodist Church in Thomson where he had served as a past deacon. Mr. Hammock was a talented, self-taught artist whose pencil drawings and acrylic paintings were admired by all who saw them. Along with his brother, Ted, he inherited their daddy’s green thumb. Their daddy was a farmer. He was also a skilled wood worker, and spent hours whittling as a boy, much to the dismay of his sisters who sometimes had to clean up after him. He was also the unofficial country music advisor to the Greg Harden radio program, and his personal records were featured on the show from time to time. Mr. Harden once remarked that he had more records than the radio station. He was a past member of the Thomson Lions Club. He loved dogs, especially dachshunds. Mr. Hammock was an official card-carrying member of Whacko, aka Funseekers with Ludlow Porch and his radio show. He was preceded in death by his parents, Mr. Franklin Joseph Hammock and Mrs. Janie Ruth Williams Hammock; his wife, Mrs. Marion Adrienne Norris Hammock formerly of Glascock County; a brother Mr. Ted Lewis Hammock. Survivors include two sons, Mark Hammock (Sandra), Athens, Mike Hammock, Thomson; two daughters, Mitzi Lewis (Steve), Marietta, Georgia, and Michelle Salvador (Bob), Summerville, S. C.; three sisters, Nancy Morris and Sarah Smith, both of Thomson, and Shirley Davis of Tennessee; five grandchildren, Zane and Michael Hammock, Kate and Emily Hammock, and Andy Lewis. In lieu of flowers, a memorial may be made to Young Memorial United Methodist Church, Thomson, Georgia. Friends may call at the residence or Curtis Funeral Home. The family will receive friends following the service at the grave.